Finally, D1, D3, Ethan and I finally watched The Avengers. D2, D4 and my son have been raving about this action movie. Every FB contact who had watched the movie had nothing but praises for the flick. 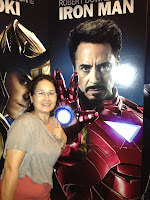 Ok, I am a fan of Robert Downey. I think I have watched his every major movies. 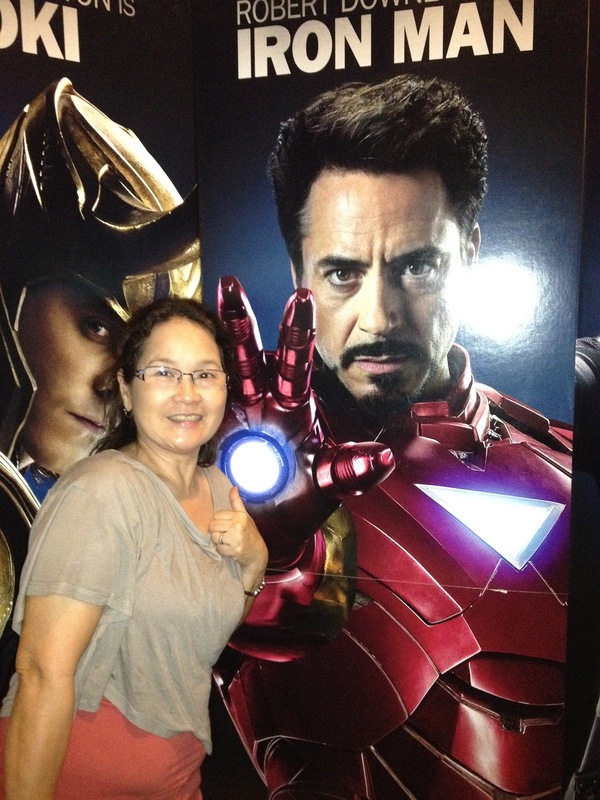 I loved Ironman 1 and Ironman 2. Come to think of it, the 2 Ironman movies both opened in May (2008 and 2010) as with Thor and The Avengers (2011 and 2012). I did not watch Captain America though. We watched the movie in 3-D, which I did not particularly like as I don't like wearing a 3-D pair of glasses over my real eyeglasses. That (the 3-D) is the only thing that I didn't like about the movie. I think I got a bit dizzy with the zooming in and out of those aliens. Robert Downey's quips were funny. His delivery were quick and so ordinary that I think not all who watched with us got the jokes. Chris Evans as Captain America is a hunk! He was one of the Fantastic Four sans the really buff body. Chris Hemsworth as Thor is still captivating! He is so muscular and tall that he dwarfed the other characters. Mark Ruffalo is Hulk. Well.. what else can I say. He's Hulk. The Black Widow is portrayed by Scarlett Johansson. She was steaming hot! Hawkeye is played by Jeremy Renner. 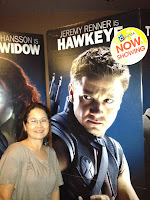 Oh, I had no idea who this actor is but he caught my attention as his super duper buff biceps were made more :attractive when he shoots those high-tech arrows.D1 said Renner is the new Jason Bourne. Loki is portrayed by Tom Hiddleston., the same Loki in Thor. On a scale of 1-10, the movie is a 9 for its entertainment value and probably a 10 for its high-tech production.